La Paz is not just another layover city. It is also a hub for many wonderful travel experiences in the surrounding areas. Read on to learn more about these La Paz Day Tours. Before you Travel to Bolivia. Read This. Consider reading these tips and basic information before you travel to Bolivia. It will help stage the set for one of the most incredible trips of your life. The Bolivia Salt Flats make up the largest and highest salt desert in the world. Situated in the Potosi region in southwest Bolivia (South America), the Bolivia Salt Flats, also known as the Uyuni Salt Flats, attract many visitors for their remarkable topography and otherworldly charm. Here are some answers to the most frequent travel questions. 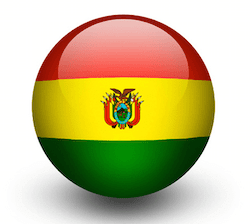 September 24th marks the regional holiday of the department of Santa Cruz Bolivia. Situated in the tropical lowlands of the Andes, the city of Santa Cruz is Bolivia’s most modern city, yet it preserves the colonial flare from the 1500s. A cosmopolitan city in its own right, you’ll enjoy great food and shopping, however for those with an adventurous spirit, the treasures lie beyond the city walls. 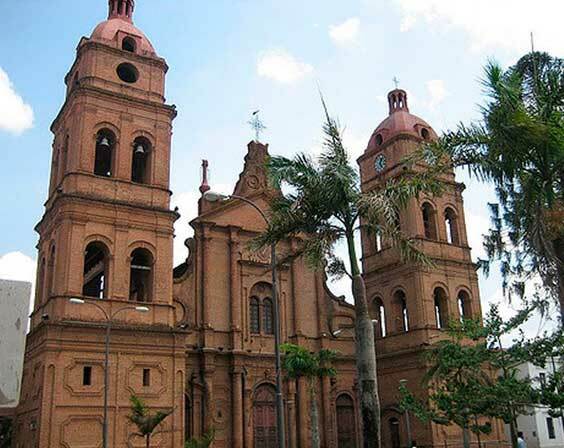 Here we recommend five very special travel experiences in and around Santa Cruz Bolivia. Nestled among the Andes Mountains, the striking city of La Paz is the seat of the Bolivian Government, but not its official capital. In addition to its beautiful scenery and colonial architecture, the city has a rich indigenous heritage. Here we provide a list of five surprising and fun things to do in La Paz that speak to the rich cultural diversity of this small Andean country. Bolivia is a beautiful Andean country known for some amazing landscapes and natural wonders like the Uyuni Salt Flats and Lake Titicaca. But, did you know it was also where the infamous “cowboy” bank-robber Butch Cassidy died in a shootout? Or that first-man-on-the-moon Neil Armstrong visited after seeing the salt flats from space? 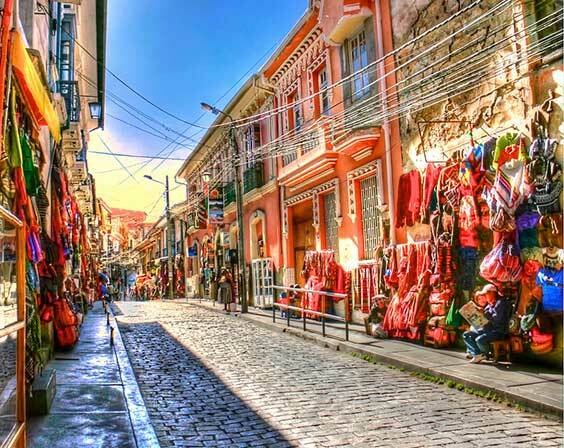 Read on to find out about these and other surprising Bolivia facts. The best time to visit the Uyuni Salt Flats depends on whether you want to capture the mirror effect during the rainy season or see the hexagons and pentagons of crusted salt during the dry season. Read on to learn more.